There are a lot of preventative steps you can take during flu season, from encouraging your family to wash their hands to getting everyone old enough vaccinated, but you and your kids are still susceptible to the virus. A flu shot can strengthen your immune system against specific strains of influenza, and that headstart can reduce the severity of the symptoms if any of you do catch the virus, but it can still be dangerous, especially for young children. 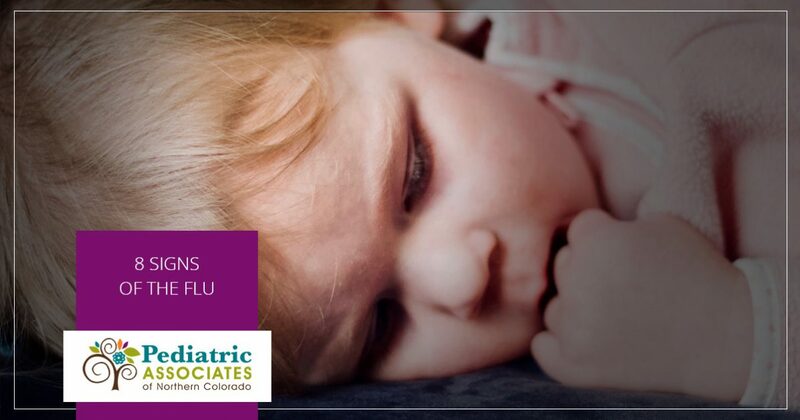 Learn what to look for in today’s guide on flu symptoms from Pediatric Associates of Northern Colorado! Whether you are looking to get a flu test for your child, or you simply want to schedule a wellness visit to keep up with all their developmental leaps, turn to Pediatric Associates of Northern Colorado! We are a private practice dedicated to pediatrics, and we’re here to keep your child healthy from birth to age 21. Explore our site to learn more about all the services we offer, and call today to schedule your appointment! Fatigue is one of the baseline symptoms of influenza. It’s natural for rambunctious kids to wear themselves out, but unusual levels of tiredness or lethargy should be seen as warning signs. If your child seems to have lower energy levels than normal, encourage them to rest. A persistent cough is another common symptom of the flu. It is often accompanied by a sore throat, but they can occur separately. Try to keep your child hydrated, which can help soothe their sore throat. You should also teach them to cover their mouth when they cough to avoid spreading the virus. Aches and chills are both frequent signs of the flu. Muscle aches in particular can be severe. Wrap your child in a blanket to help them warm up, and try acetaminophen or ibuprofen in appropriate doses for their age. Fever is common in the early stages of influenza, and the affected person’s temperature is typically 100 degrees or higher. It’s not present in all cases, but if your little patient’s temperature spikes, the fever can last for several days. Acetaminophen or ibuprofen can help address this symptom too, but keep in mind that neither medication is a cure for the underlying virus. Stomach pain, nausea, and vomiting are symptoms that are more common in children with the flu than adults. Vomiting, or a resistance to eat because of an upset stomach, can lead to dehydration, so encourage your child to drink water and consume liquids like soup. The influenza virus shares many symptoms with the common cold, but the onset is often far faster than normal, and the symptoms can be more severe. 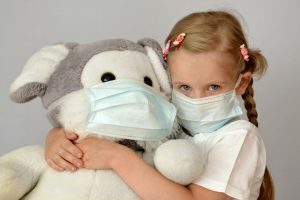 If you are unsure whether or not your child has the flu, or if you should take extra measures to help them heal, contact your child’s pediatrician. Pediatric Associates of Northern Colorado is here to help you! Not only do we reserve a third of our available appointments for same-day sick visits, but we also have a doctor on call 24/7, so you can always contact us through our office number for expert advice. Turn to a pediatric office you can trust — call Pediatric Associates of Northern Colorado today to make your appointment!